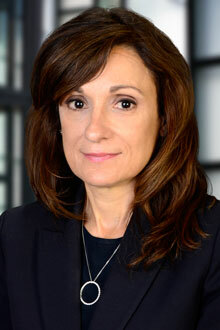 Robyn Kalocsay is a partner in the Newark office of Lewis Brisbois and a member of the General Liability Practice. She is a highly successful AV rated litigator who focuses her practice on complex civil litigation in the state and federal courts in New Jersey, New York, and Pennsylvania. She is Certified by the Supreme Court of New Jersey as a Civil Trial Attorney. Ms. Kalocsay has represented clients in general liability matters, asbestos litigation, trucking accident cases, and construction and employment matters. She has represented professionals in malpractice cases including but not limited to legal malpractice, broker malpractice and accounting malpractice. She has served as lead trial attorney in the defense of New Jersey mass tort litigation for a Fortune 10 company. She has also successfully defended nationally known corporate clients in the defense of litigation matters arising from catastrophic accidents. Ms. Kalocsay received her Bachelor of Arts and her Juris Doctorate from Fordham University. LeClair Ryan, Newark New Jersey, December 2007 to April 2016, Shareholder. New Jersey Association of Women Business Owners past Vice President of Administration for the Bergen Chapter and Secretary. Most recently for the National Business Institute, most recently on Damages In Personal Injury Litigation, in 2015.